Abstract: The evaluation of the economic efficiency of regulatory schemes is essential for regulators and utilities. In this study it is analysed for the first time the welfare costs of non-marginal cost pricing in the water supply in England and Wales, by computing the deadweight loss of the water only companies (WoCs) that existed over the period of 1993–2009. The results indicate that the current price schemes can have substantial efficiency costs. Our estimates show that the loss of efficiency for the WoCs lies between 15 and 60 million GBP over the period 1993–2009. These amounts could have been redistributed either to the companies in terms of profits or to the consumers via price reductions. 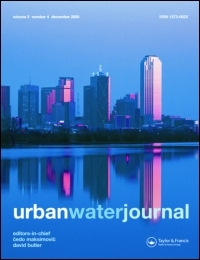 The methodology and results of this study are of great interest for both regulators and water utilities managers to evaluate the effectiveness of price regulation and make informed decisions.